Feathered Quill Book Reviews is pleased to offer our readers the chance to win a FREE book. Once a month, we will award a brand new book to one lucky reader. Simply submit your email address below and you will be entered into our monthly contest. There is absolutely no cost to you - no cost for the book, no cost for shipping, nope, nada, nothing. Note: We NEVER sell our email addresses and in fact, delete them all after each contest. 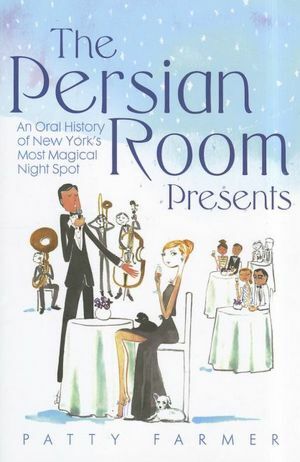 February - This month our offering is a copy of The Persian Room Presents: An Oral History of New York’s Most Magical Night Spot by Patty Farmer. Simply fill out the simple form below and you'll be entered to win! We will contact the winner on or about the first of the following month to confirm his/her mailing address. Again, we will NOT keep this address on file.